Mozilla's upcoming Firefox Mobile OS is set to take on Android at the budget end of the smartphone market from next year. Telefonica, owner of the O2 mobile network in the UK and many others around the world, is heavily involved in the project with Mozilla as the companies develop the HTML 5 web-based OS. 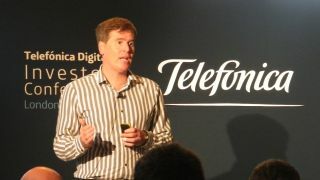 Telefonica Chief Executive, Matthew Key explained more about the ambition for the OS at a conference in London; "With the Firefox Mobile OS we can produce the same experience as on an Android handset more cheaply, or a better experience at the same price." What the Firefox Mobile OS claims to offer is a simple, speedy and efficient user experience at the low end of the market, even on handsets running 600MHz processors. Carlos Domingo, Product and Innovation Director at Telefonica added; "Cheap Android phones offer a bad user experience and usually run an older version of the operating system." Key also revealed when Telefonica's first Firefox handset would be released, and quoted a retail price of less than $100 (around £80); "The first handset cost will be sub-$100, and we'll launch it in the first quarter of 2013 in Brazil, with Europe and other markets (including the US) coming later." Mozilla has already managed to sign up seven networks and two manufacturers (ZTE and Alcatel) to support the Firefox Mobile OS, and it's in discussions with four or five other large handset manufacturers. Domingo confirmed to TechRadar that "the Firefox Mobile OS handsets will not be available from any network before the end of 2012. The first handsets will probably arrive in January next year."